We crossed into Poland and reached the city of Wroclaw (which has a difficult pronunciation that I couldn't nail) after a trundling but cheap and very comfortable train ride from Turnov. Polish trains are a marvel. 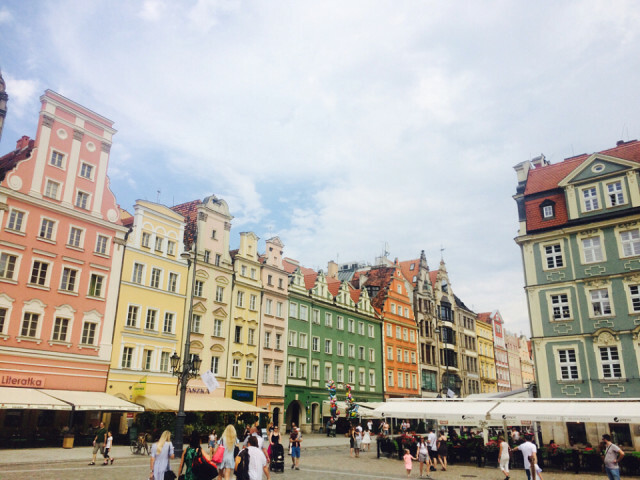 The square in Wroclaw is grand, colourful and bustling, and the city boasts an exuberant nightlife thanks to its student population. We joined the fun starting with chips and beer, and ended up dancing in the basement of the Mañana club in the middle of a Polish wedding. It was as hot as an incinerator but it didn't put off the guests (or us, for that matter) from putting our backs into the moves.